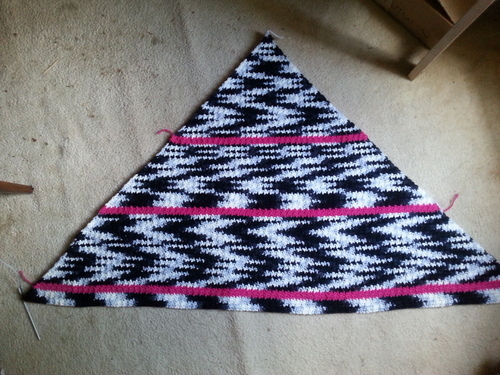 Pattern Name: "Hounds-tooth Corner to Corner"
I added a pink stripe to break things up. 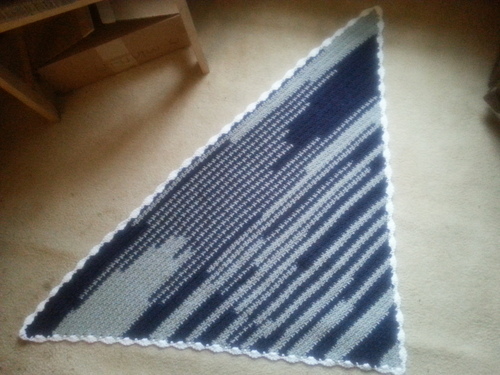 Made a triangle shawl for my Aunt. 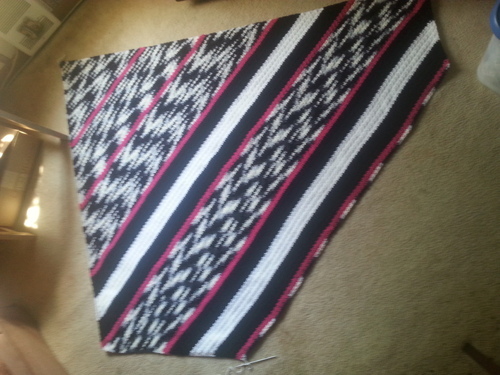 Working on this throw for my niece. This pattern works great for variegated yarn or using up a lot of scraps. It’s harder to see the pattern if you use a solid. You’ll be working back and forth across rows adding two stitches each row to form a triangle and then decreasing to form the final square or rectangle.